This type of sponge comes in sheets of breathable silicone. It is used for high temperature applications because, thanks to its special molecular composition, it allows the passage of air and steam. The product reference values and characteristics are those of silicone, excluding the breathability. 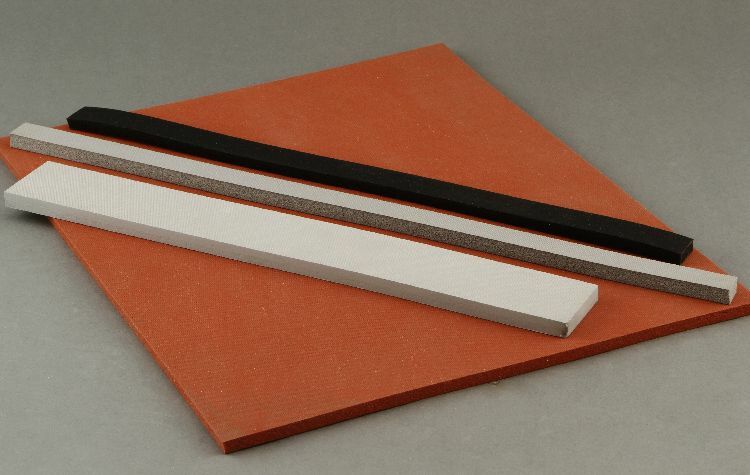 In addition to its notable molecular memory (which makes it ideal for use in hot presses, making oven gaskets or in vacuum and packing systems, because it returns to its original shape), this type of silicone sponge is also very resistant to heat (200°C-250°C) and aggressive chemicals, typical characteristics of silicone rubber. It is available in self-adhesive and non-stick versions, with different densities, thicknesses and heights. It comes in sheets, rolls and reels, which we cut as requested by the client. We also have a wide range of silicone fibreglass fabric.